Hi Guys! 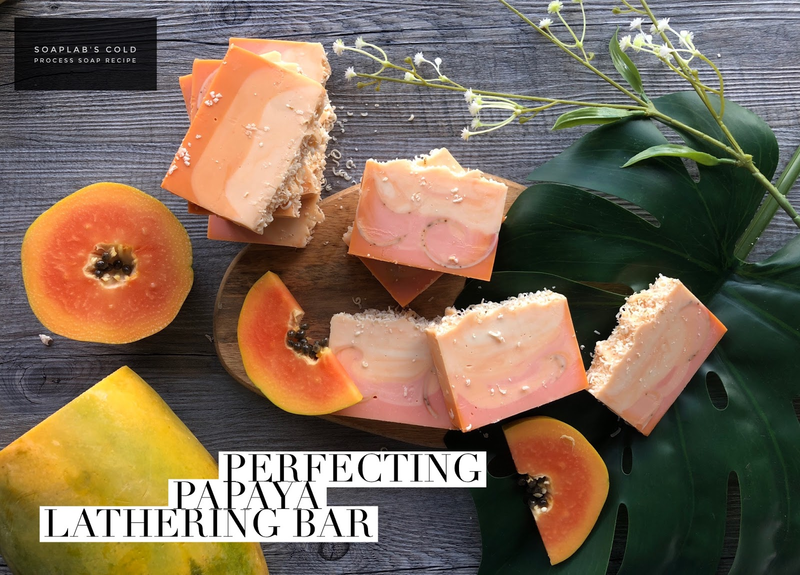 Today we will be teaching you how to make a Perfect Papaya Lathering Bar. This is using the traditional method of making soap called the -cold process soap method. This method makes soap using natural oils and its considered 100% natural. Firstly you will need an oil mix which consists of castor oil, olive oil, coconut oil, and palm oil. Then combine it with lye to make the soap. The different oils in the skin provides the skin with benefits such as moisturising and has antioxidant properties which gives your skin a more youthful look. Next add mango papaya fragrance oil which gives the soap and amazing uplifting tropical smell. You will think you are on an island! Add saffron mica and titanium dioxide mica which will give you a nice color. Finally add soap shavings and curls, making the soap look truly yummy.